Looking for Siemens / ITE products? Get a quote fast. Spanning almost 170 years, Siemens went from a single workshop in Berlin to a global leader in electrical power distribution. As one of technology’s global powerhouses, Siemens is committed to creating cutting edge power distribution solutions, and is responsible for a variety of impressive innovations, including fuel cells, the 800 kV converter transformer, and the world’s most powerful gas turbine. No matter how big or small, whether it’s a 800kV transformer or a 30A circuit breaker, you can count on Siemens to deliver. Siemens track record of innovation lives on through their circuit breakers, transformers, safety switches and disconnects, panelboards and more. In 1983 Siemens bought ITE (formerly known as Gould), a large electrical distribution company, so if you’re looking to replace an ITE product, chances are you’ll find exactly what you need from Siemens. Siemens Sentron busway and ITE busway provides the user with maximum flexibility without compromising on quality. Trusted throughout the construction industry among others, Siemens busway utilizes an innovative design that provides flexible and reliable power distribution. Siemens circuit breakers and ITE circuit breakers are built to handle the day to day operations of residential industrial, and commercial applications, and beyond. Siemens also boasts one of the most extensive lineups of molded case circuit breakers on the market today. Siemens definite purpose contactors protect your motor while saving you on energy costs and extending the lifespan of your motor. Siemens offers vacuum contactors, magnetic contactors, DC and AC contactors and more. Our UL508a-certified shop is prepared to build your custom solution for high quality automation control. From VFD control panels to pump control panels and more, you count on us to deliver a custom-built control panel outfitted with top quality Siemens components. When you choose an electrical unit substation from Siemens, you’re choosing coordination, efficiency, and reliability. Siemens electrical unit substations can be used in low voltage and medium voltage applications. Available across a number of NEMA ratings, Siemens enclosures will protect all your devices and panels from sleet, snow, rain, dust, and more. Whether reconditioned or brand new, Siemens fuses are used across residential and industrial applications. Siemens fuses are compact in size, allowing you to optimize panel space. Siemens load centers are held in very high regard across residential, commercial and industrial applications. All of Siemens load centers are UL listed and come in a variety of configurations. Siemens manual motor starters provide protection and control for motors across a number of applications. Controlling your single phase or three phase AC motors, and even your DC motors has never been easier. For use in Siemens motor control centers, Siemens Tiastar MCC buckets keep your motors running at peak efficiency all number of industrial motor control applications. Siemens medium voltage motor control centers consolidate and optimize complex motor control systems. Siemens motor control centers provide consumers with high value and high performance thanks to Siemens’ innovative technology. Extend the lifespan and increase the productivity of your motor with a Siemens motor starter. The SIRIUS line of Siemens motor starters provides consumers with exceptional control, protection and flexibility. Whether you need a thermal overload relay or an electronic overload relay, Siemens relays deliver the protection and reliability you need with the innovation and quality you expect from Siemens. By simplifying wiring configurations, focusing on durability, and streamlining installation, Siemens panelboards are some of the most versatile around. Both Siemens’ power distribution panelboards and lighting panelboards are built to accommodate any number of circuit breaker/fuse configurations. Siemens push button switches come in a number of configurations and sizes to meet all your equipment control applications. With their low profile design and easy installation, Siemens push buttons are highly regarded throughout the industry. Trust Siemens for your switching processes. With their innovative, compact design, Siemens relays and timers will provide with exceptional performance in your industrial switching applications. Keep your motor from wearing out with a Siemens soft starter. Siemens 3RW soft starters are widely used and relied upon to handle all your 3 phase motor control applications. The cornerstone of every Siemens switchboard is convenience. By constantly improving the layout and simplifying installation, Siemens switchboards provide you with worry-free power distribution. Whether it’s a manual transfer switch, an ATS, double throw switch or a heavy duty safety switch, Siemens disconnects are trusted throughout the industry. By breaking the arc in two places, the Siemens safety switch can increase the switching speed and decrease heat buildup simultaneously. Whether medium voltage or low voltage, Siemens switchgear is prepared for any application. Siemens switchgear is designed with the highest standards of safety and efficiency, and easy operation. Siemens’ competitive transformer portfolio includes dry type transformers, general purpose transformers, K-Factor transformers, and more. Siemens transformers are available across a variety of kVA ratings. Maximize your motor’s lifespan and efficiency with a Siemens variable frequency drive. From medium voltage drives to AC drives, Siemens VFD’s give you the motor control your system requires. Have any old or unused Siemens / ITE products lying around? Don’t get rid of them just yet. While we stock a wide range of quality electrical products and solutions, both new and reconditioned, we also buy back your unwanted equipment. So, before deciding what to do with your old Siemens / ITE products and components, have one of our expert technicians take a look to see if we can save a few parts, save the environment, and save you some cash. Great service shouldn’t end after the purchase. We pride ourselves on the relationships we build with our customer-first mentality and the quality of our Siemens / ITE products and components. That’s why we offer a 1-year replacement warranty on all of our electrical products and solutions from the top manufacturers. Because when you buy with Bay Power, you buy with confidence. 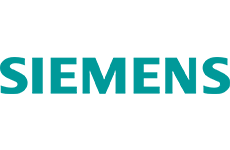 We are proud to stock a variety of competitively priced, new and reconditioned components from the leading manufacturers of Siemens / ITE products. Thanks to our extensive inventory of Siemens / ITE products and components, our resourceful and expertly trained staff will always be able to get the products that you need. Through our extensive network of suppliers, we are able to carry and acquire a huge variety of electrical products and solutions, so chances are if you need it, we can get it. Bay Power’s priority is providing you with reliable, high quality electrical hardware. That’s why our mission is to make sure our reconditioned electrical products and solutions function as perfectly as the day they were built. Because while the quality is high, the cost of Siemens / ITE products shouldn’t be. Our selection of new surplus Siemens / ITE products may not arrive brand new in a box, but they function just as well, and have never had electricity run through them. All of the quality, none of the packaging, always with our 1-year replacement warranty.